If you don't get any joy go further up the ladder and get our MP involved, Greg won't stand for that kind of malarkey. Greg pope whos office is on blackburn rd.. or has he moved? Defender of the Holy Pig Champion! He used to be at the Church end of Blackburn Road though. maybe he never goes into Accy centre because the traffic is so bad with all the abandoned, sorry parked, cars everywhere. The pictures Mick took are nearer the church end than the accy centre end arnt they Neil? I am with the towtruck method here, just tow them away, and scrap them! If time travel were possible, wouldn't somebody have been back or forward and told us by now? yep its near the dentists at antley, i'm fer crushing em, pity no-one in authority has the balls. Do you have a tow truck cashy? And do you need a co - pilot? I think I have mentioned this before.. but so what! In Bury, there used to be traffic wardens up and down the road all day, every day, except on Saturday morning, when the nearby mosque was busy, the parking was chaotic and idiotic, and not a traffic warden, or policeman to be seen, and before anybody fews this as remotely racist, I had many parking tickets for loading/unloading into my own shop, that is the gripe! There is a car parked wholly on the pavement at the Dill Hall end of First Avenue. It looked like it was being repaired. I never noticed if the tax disc was current but would it be classed as not being on a highway if the disc was out of date?? I'm away at the moment and hadn't seen this thread until AndrewB emailed me (hat tip, as our friend Guido Fawkes says!). As quite a few hard working councillors post on here (as well as The Great Leader now - should he be known as TGL henceforth?) I dare say that this may get sorted. I'll add my bit with the Council next week. good on yer Greg, this is summat thats been ignored fer years, apart from a very short "Purge" a while ago. one day i fear there will be a nasty accident, soley through traffic violations on Blackburn Rd. 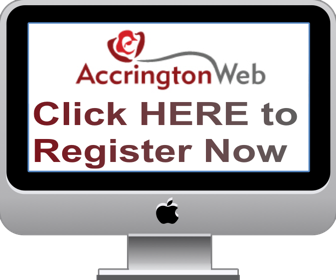 All comments above are everything to do with here and therefore the resposibility of the Accrington Web website owners admins and mods. Last edited by accyman; 13-04-2009 at 23:24. Thank You i just hope something is done before someone (me) gets run over on the pavement while waiting for a bus.